I'd like to share with you a recent press release concerning an invitation our company's owners, Sheryl Chinowth & Lee Cohen, received to join a small group of influential independent real estate CEO's from across the country. This group meet to exchange business ideas and market information. The group is called The Leadership Council. (Tulsa, OK) – March 24, 2009 – The Leadership Council, a prestigious real estate CEO exchange group recently voted to induct Chinowth & Cohen Realtors as a new member. The Leadership Council was founded in 1987 and has a total of 15 market leading real estate brokerage members from various markets across the United States. Chinowth & Cohen Realtors is among the fastest growing realty firms in Tulsa as well as across the country. 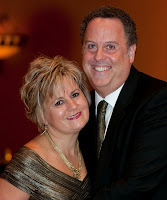 The firm is owned and managed by Sheryl Chinowth and Lee Cohen in Tulsa, Oklahoma. The focus of The Leadership Council is to exchange information and knowledge regarding best practices in the realty services industry and focuses on methods for improving service to consumers and growth in the business. The Leadership Council meets twice per year for an idea sharing session and comprehensive review and critique of the host member’s company. The Leadership Council is comprised 15 leading independent residential realty service firms from across the country. The members handled over $8 billion in residential real estate sales in 2008. Yeah us! Way to go Lee & Sheryl!